Have you ever been told you were lazy? Or have you ever felt that you were lazy? But imagine you are getting paid to do exactly what you were built to do. What if you absolutely were in a career that you loved? People would probably tell you, “wow you are a hard worker”. But the truth is you are not working at all, you are doing what you were made to do and love it so much it is not work…it is joy. One that you would even sacrifice weekends to do, because you cannot imagine n ot doing it. 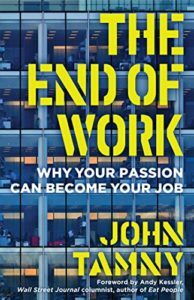 In this episode of AND author John Tamny discusses his latest book The End of Work: Why Your Passion Can Be Your Job. The book logically and rationally explains why in today’s world we do not have to do work we do not like to do to make a living. 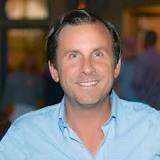 We talk about why technology has created more opportunities for all of us to make a living doing what we are made to do and enjoy it. Get Your Copy of THE END OF WORK here!